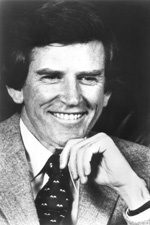 HART, Gary Warren, a Senator from Colorado; born in Ottawa, Franklin County, Kans., November 28, 1936; attended the public schools of Ottawa, Kans. ; graduated Bethany (Okla.) Navarene College 1958, Yale Divinity School 1961, Yale University Law School 1964, and earned a Ph.D. at Oxford University in 2001; admitted to the Colorado and District of Columbia bars in 1965; attorney for the United States Department of Justice 1964-1965; special assistant to the solicitor of the Interior Department 1965-1967; engaged in private law practice, Denver, Colo., 1967-1974; elected as a Democrat to the United States Senate in 1974; reelected in 1980 and served from January 3, 1975, to January 3, 1987; did not seek reelection; unsuccessful candidate for the Democratic presidential nomination in 1984 and 1988; resumed the practice of law; author; lecturer, Oxford University, Yale University, and University of California; senior counsel, Coudert Brothers multinational law firm; co-chair, U.S. Commission on National Security in the 21st Century 1998-2001; president, Global Green 2003-2004; is a resident of Kittredge, Colo.
Hart, Gary. The Courage of Our Convictions: A Manifesto for Democrats. New York: Times Books, 2006; Hart, Gary. The Fourth Power: An Essay Concerning A Grand Strategy for the United States in the 21st Century. New York: Oxford University Press, 2004; Hart, Gary. The Minutemen: Restoring an Army of the People. New York: Free Press, 1998.